Is-A relationship, which is also known as the parent-child relationship. The main purpose of inheritance is code reusability. We can reuse the code when we inherit the properties and behavior of the existing class into a new class. The runtime polymorphism (method overriding) can be achieved by inheritance. Class: Class is used to describe the properties and behavior of an object. It is a blueprint of an object. Super Class: Super Class is also known as a parent class or a base class. The super class is the class whose features are inherited from a subclass. Sub Class: Sub Class is also known as a child class or a derived class or an extended class. Sub Class is the class which inherits the other class. The extends is a keyword which is used to inherit the properties and behavior of a class. Java supports only three types of inheritance Single Inheritance, Multilevel Inheritance, and Hierarchical Inheritance. Multiple and Hybrid Inheritance in java can be supported through interface only. 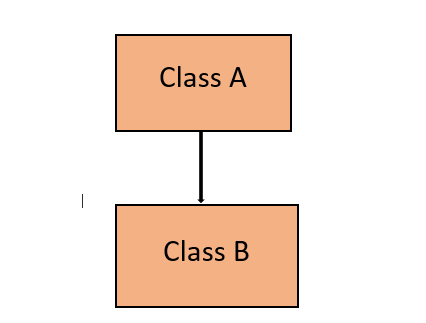 In single inheritance, one class can extend the functionality of another one class. In single inheritance only one parent and one child class is present. In multiple inheritance, there is more than one parent class and one child class is present. The child class inherits from more than one parent class. Java doesn't support multiple inheritance. It can be supported through interface only. In multilevel inheritance, there is more than one level. 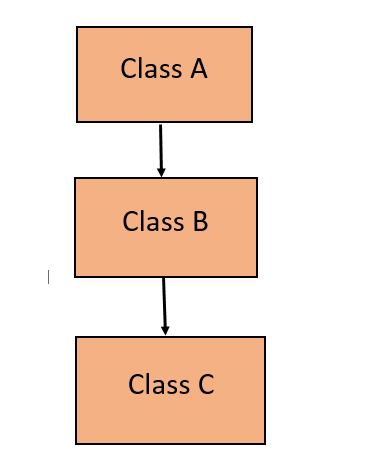 If one class can inherit from a derived class and derived class becomes the base class of the new class then it is called multilevel inheritance. In Hierarchical inheritance, from a single parent class, we are inheriting multiple child class. 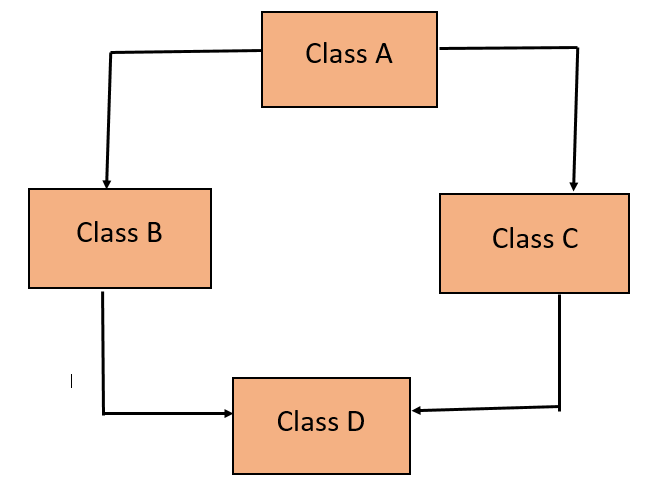 In the below diagram, class A inherits the class B, class C, and class D.
If we are using multiple types of inheritance simultaneously such types of inheritance are called Hybrid Inheritance. But java does not support Hybrid Inheritance. Hybrid Inheritance can be supported through interface only. Why Java doesn't support multiple inheritance? Java doesn't support multiple inheritance due to the ambiguity problem. Consider a scenario where X, Y, and Z are the three classes. The Z class inherits both the class i.e. class X and class Y. 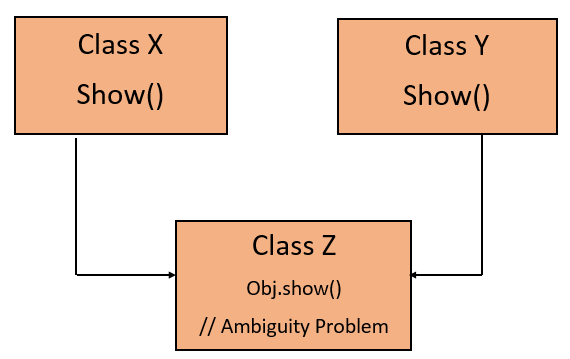 If class X and class Y have the same method and we call it from child class object ( class Z object), there will be ambiguity to call the method of class X or a class Y. Therefore compiler show compiles time error if we inherit 2 classes. obj.show();  //Now which show() method would be invoked? Encapsulation in Java OOPs with Example. JSP Life Cycle. What are Java Beans?